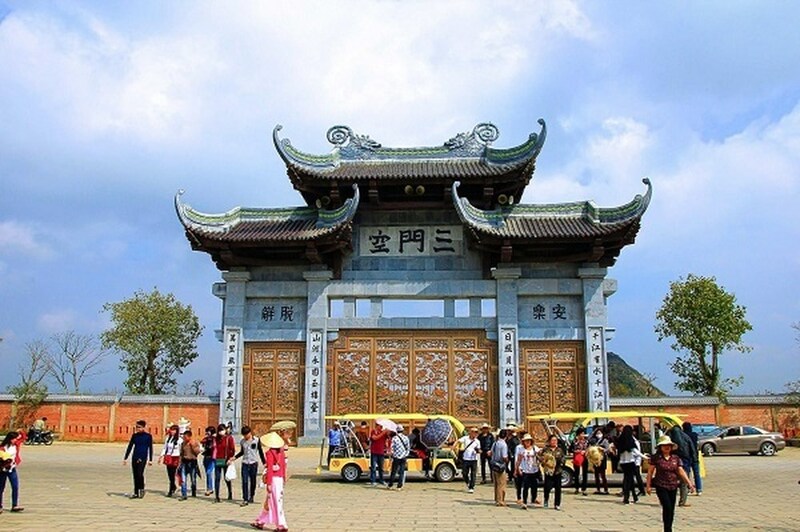 Bai Dinh pagoda is located on the western slope of Dinh mountain and nestles in quiet forest . 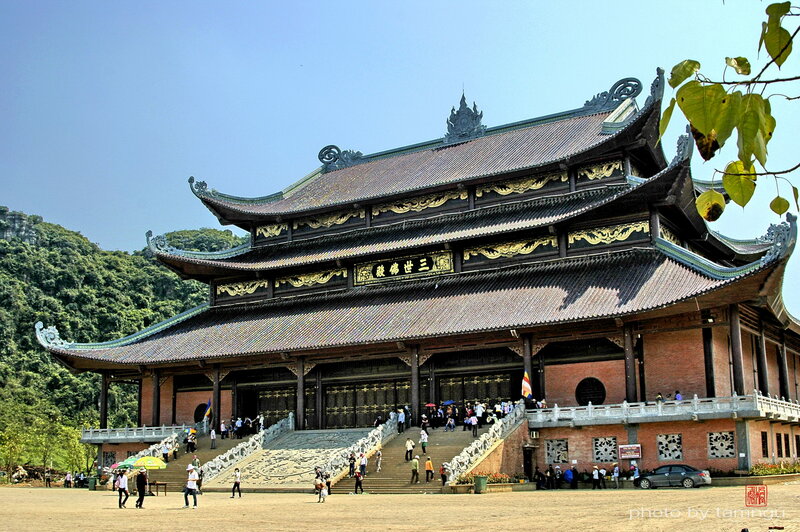 The pagoda houses an ancestor-worshipping house in the centre, Bright cave on the right hand side which worships the Buddha , the small temple worshipping Genie Cao Son. 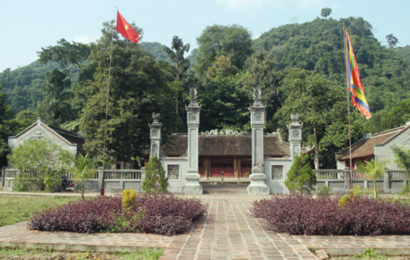 In addition, on the left hand side of the pagoda is another temple worshipping Saint Nguyen and next to it is Dark cave which worships the Fairy. 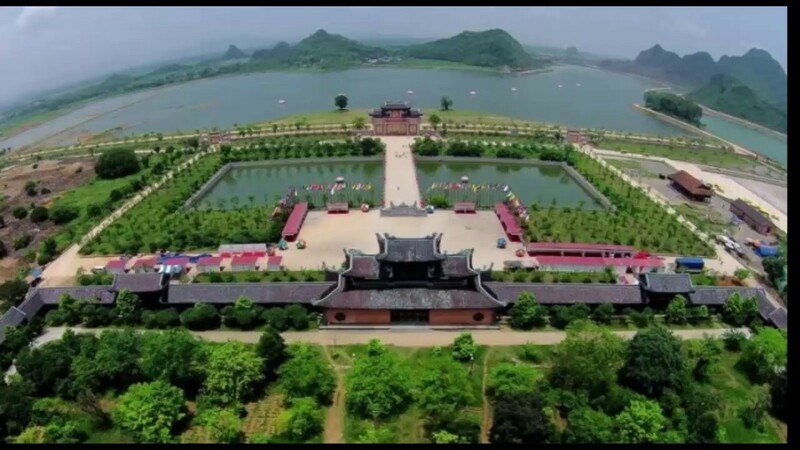 With fanciful scenery and quiet atmosphere , the pagoda will make visitors feel likely to live in fairy land and they find peace in their minds. 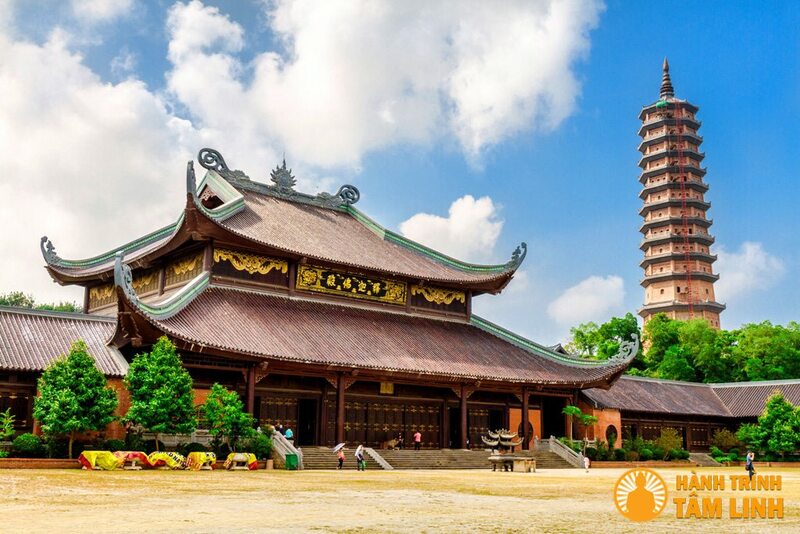 As a beutiful pagoda in Vietnam, you can come to Linh Ung pagoda in Da Nang. The most important emphasizing point of these great religion works are Tam The Temple and Phap Chu Temple. 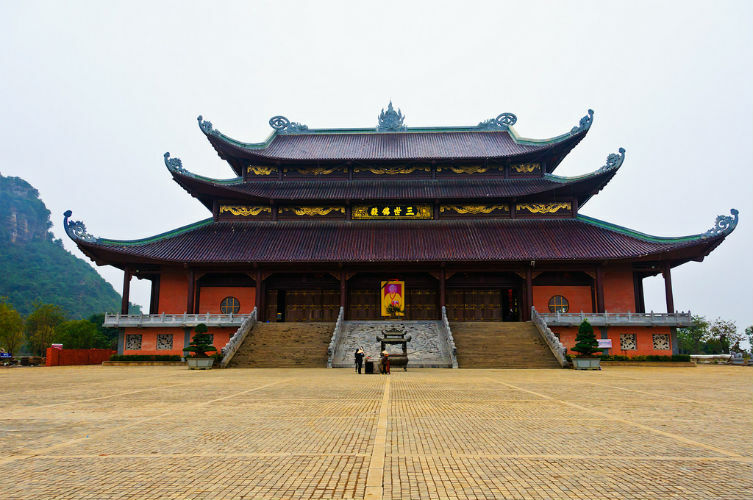 Two temples cover a total area of 1,000 square meters . 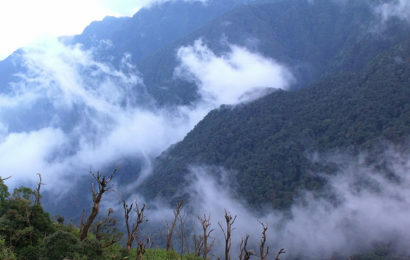 The height of Phap Chu Temple is up to 22m and it contains five partitions . 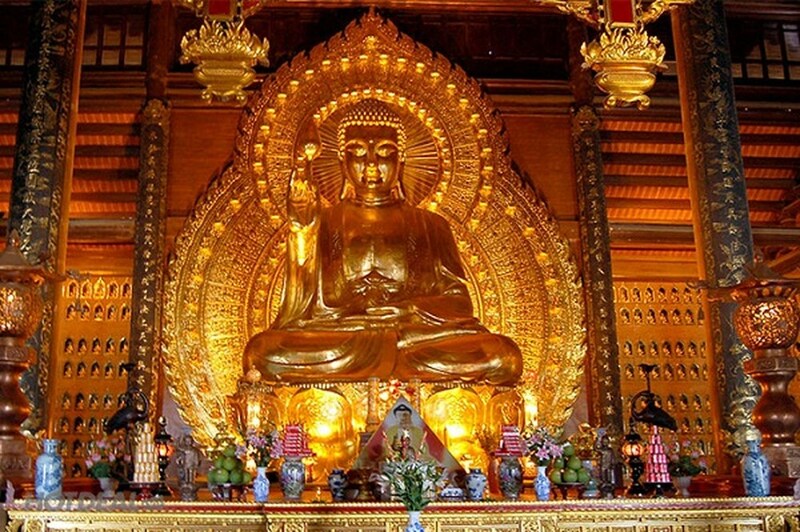 In the centre of this temple is a bronze Buddha Sykamuni statue with 10 meters high and 100 tons heavy which is certificated as the biggest statue in Vietnam. 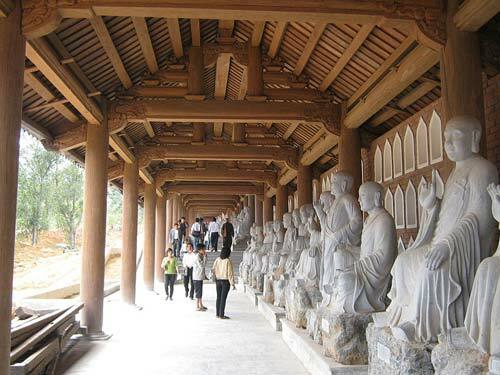 This statue is casted by the pure bronze bought from Russian, casted and installed by the famous artisans of casting bronze statue in Y Yen, Nam Dinh . 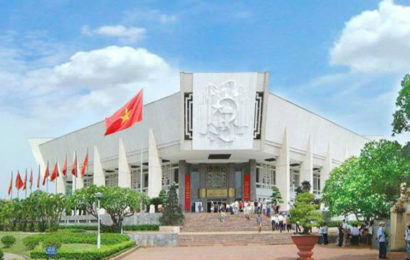 Moreover, there are several national records in this temple such as three largest horizontal lacquered boards(hoành phi) and three biggest “Cua Vong” ( a kind of door which is sophisticatedly sculpted and engraved ) .In Tam The Temple , there are three Tam The statues representing the past, the present and the future. Each statue is 12 m high and weighs 100 tons. 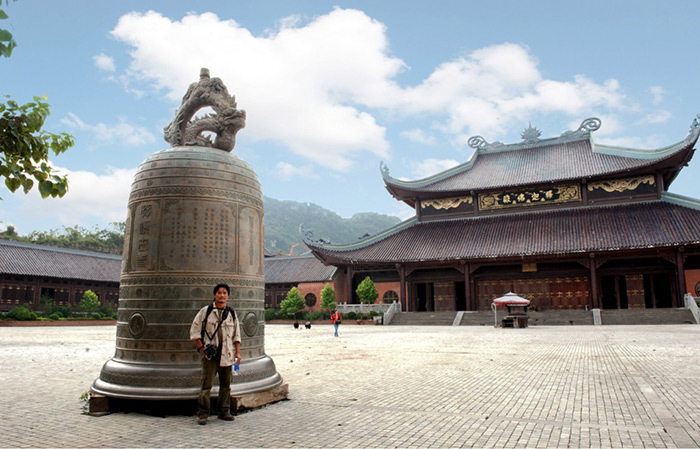 Another special feature in Bai Dinh pagoda is “Great Bell” with the weight of 36 tons was casted and located in Bell Tower. In addition, there is 70 -ton bronze drum on the floor of the Tower. 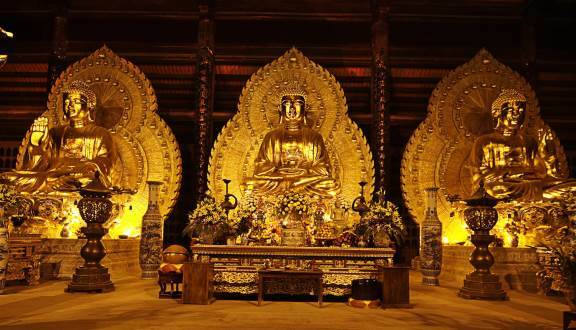 What’s more, coming to Bai Dinh pagoda, visitors have a chance to see the biggest Avalokitesvara Bodhisattva statue in Bodhissattva Temple. This statue looks so marvellous with thousand hands and eyes to present the protection and universal salvation for common people.